Erie Insurance is now offering supplemental insurance plans designed to cover gaps associated with Medicare Parts A and B – also known as Original Medicare. While Medicare gives coverage for health-related expenses such as inpatient hospital and skilled nursing facility care, certain home health care services, doctor visits, and more, it does not help pay for deductibles and coinsurance. These out-of-pocket costs can be especially difficult for seniors on fixed incomes. “Instead of covering gaps out of their own pocket, people 65 and older who are enrolled in Medicare Parts A and B can now apply for an Erie Insurance Medicare Supplement plan,” explained Erie Insurance senior vice-president of life insurance Louis Colaizzo. Colaizzo noted that Erie offers four different plans – five in Pennsylvania. “Reviewing and selecting a plan can be daunting, which is why we recommend people work with an experienced insurance agent who can help them choose the right plan for them based on their individual needs and budget,” he said. 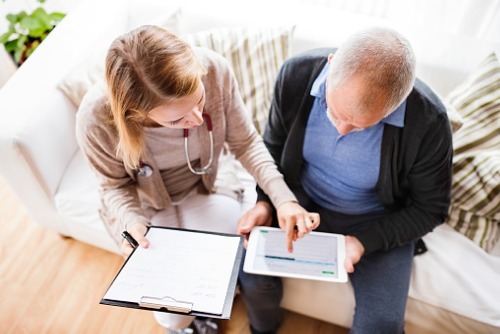 Typically, Medicare supplement plans are standardized across the industry and offer similar benefits, although carriers are free to add other specific plans offerings.